est kent Kent is a vibrant county and in demand as a filming location. It has played host to many productions such as Sherlock Holmes, World War Z, The Other Boleyn Girl, The Tunnel, True Love, and The Hollow Crown: The Wars of the Roses. Kent’s universities and colleges provide an ideal location to study, with excellent track records and facilities. We believe our higher education institutes are second to none. Below is a list of Kent’s higher education media courses, particularly focusing on the areas of TV and Film Production, Photography and Film Studies. We have included courses ranging from NVQ level 3 to postgraduate from various institutions in Kent to give you a flavour of what is on offer. Canterbury College offers many courses in creative media ranging from A Levels right through to higher education. East Kent College (formerly Thanet College) offers a course that applies to the whole multimedia industry. This includes the students being introduced to new technologies, latest skills and working practices. North Kent College is a college of Further and Higher Education with campuses in Dartford and Gravesend. The college offers various Creative Media courses. MidKent College has campuses in Medway and Maidstone and offers A Level and further education courses as well as part-time/evening courses. Canterbury Christ Church University – the main campus is in Canterbury but also has schools in Broadstairs and Folkestone. They offer a range of courses from foundation degree to undergraduates. University for the Creative Arts is a specialist university for the creative industries, including film. They have campuses in Rochester and Maidstone as well as Epsom and Farnham which are both in Surrey. 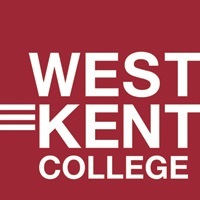 West College (formerly K College) offers A Level and further education courses that are based in Dover and Tonbridge.